Finding the perfect door shape, wood type, and finish options is what The Kitchen Solution Co. does best. We’ve packaged together some examples of choices you will have when designing your new kitchen. Take some time to view some of the samples below to get some ideas and then call us to schedule an appointment. A popular choice when designing custom kitchen cabinets is to have drawers that are both 100% functional and space savers. Modern kitchens now take full advantage of kitchen drawers and allow you to fill the empty voids with spice racks, warming drawers, utensil holders, refrigeration units, and more all with easy access. Not too long ago you didn’t have a choice but to use ugly plastic containers as storage bins. Now you never have to worry again about making space for an item or what’s going to fall out of your cabinet next time the door opens. New custom cabinet interiors have just saved lives. We will meet with you to look through innovative cabinet interior choices. Kitchen cabinet doors are the first thing I notice when entering the kitchen. Today shopping for kitchen cabinet doors has never been easier thanks to many online resources. Explore the different kinds of woods, colors, and styles of 100% real wood cabinets to upgrade your dream kitchen in style. 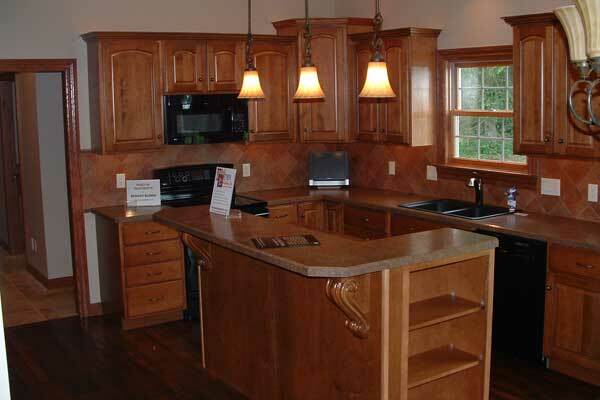 Custom kitchen cabinets will transform how you feel about your kitchen. Embellishments for traditional kitchen cabinets offer many details such as fluted pilasters, wood trim created with decorative panel molding, and corner blocks made from hand-carved wood rosettes. Add extra details to your cabinets with carved wood embellishments. Kitchen cabinet molding, trim, and spools can really dress up your cabinets by making ordinary cabinets look custom just by adding these little details. Anyone can use creative ideas to make their cabinets unique. Discover ideas and designs for your kitchen cabinet molding and trim by reviewing ideas online or with the display models shown in pictures on our website or in our showroom when you visit. Decorative kitchen cabinet knobs and hardware are one of the easiest upgrades you can make to your existing cabinets. We will help you find the right style and color knobs or handles for your custom kitchen or bathroom remodel. From door knobs to draw handles the possibilities are endless.